There is so much to explore in this massive, new update! Move through the Solar System in an entirely new way with a completely overhauled Parkour system. Visit an underwater world with new Archwing levels. 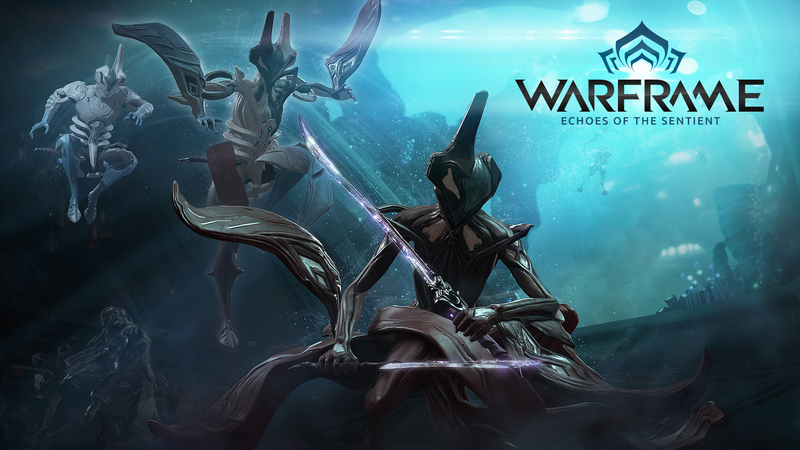 Go on a Quest for the new Equinox Warframe and discover the best of both worlds. Experience an abundance of new Conclave additions, Weapons, Mods and more! 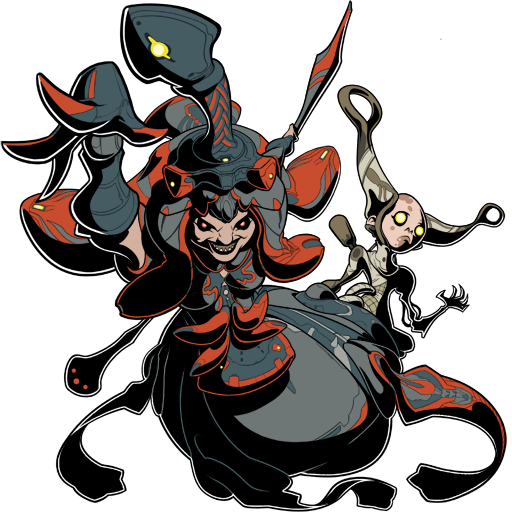 Is the strange drone scanning Tenno just an ungraded piece of Corpus technology or are there more sinister things stirring in the Origin System? 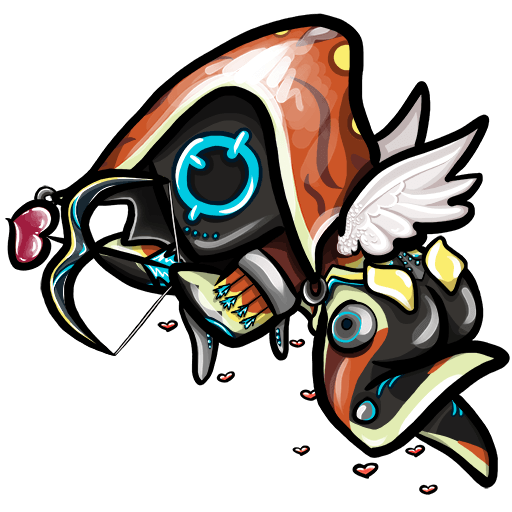 The mystery drone will randomly seek out players with a mastery rank of 3 or higher. After encountering this drone, the Lotus will initiate the quest. Power 1 - Metamorphosis: Switch forms between Day and Night. Day: Grants bonus damage and speed. Night: Grants bonus shields and armor. (Day) Rage: Enemies in a small targeted area become vulnerable to damage. (Night) Rest: Enemies in a small targeted area are put to sleep. (Day) Provoke: Increases the Power Strength of nearby allies. (Night) Pacify: Reduces damage dealt by nearby enemies. (Day) Maim: Nearby enemies are bled and then subjected to a wave of slashing force. (Night) Mend: Allies are healed with each nearby enemy killed. Players will be given a quick tutorial of the changes made in Parkour 2.0 when logging in for the first time after the Update is live. Players can choose to skip this tutorial, or replay it from the Advanced Movement menu in the Training section of the Codex. Chroma's green energy perk now gives a buff to holster and reload speed instead of affecting Stamina. Mods that previously affected Stamina have now been converted to the appropriate amount of Fusion Core. Arcane Chorus Helmet - This helmet is worn by Banshee, and adds Power Efficiency, but reduces duration of Aim Glide and Wall Latch. Arcane Flux Helmet - This helmet is worn by Nova, and increases duration of Aim Glide and Wall latch, but reduces Health. Arcane Storm Helmet - This helmet is worn by Volt, and increases Power Strength, but reduces duration of Aim Glide and Wall Latch. 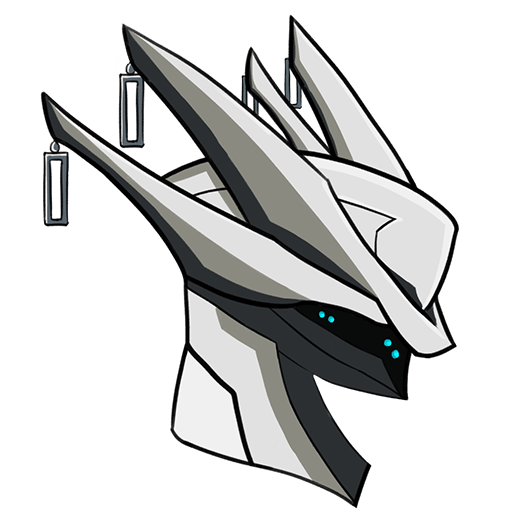 Arcane Gambit Helmet - This helmet is worn by Vauban, and increases velocity of parkour maneuvers, with a reduction to Power Duration. Arcane Scorpion Helmet - This helmet is worn by Ash, increases duration of Aim Glide and Wall Latch while sacrificing Power Efficiency. Arcane Menticide Helmet - This helmet is worn by Nyx, increases velocity of parkour maneuvers with a drain on Shields. Uranus Mission nodes have been given a total overhaul with the new Grineer Underwater Lab tileset. With this expansion come unique Missions that require players to swap back and forth between their Archwing in order to access (and traverse) the hostile underwater environment that has kept these labs hidden for so long. Players must have an equippable Archwing in order to access these Missions. 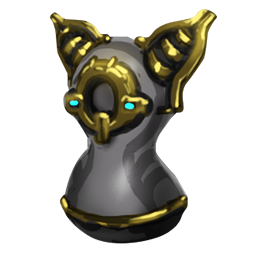 Exilus Mod slots can be unlocked using an item found in Simaris' offerings after completing the Quest: Natah, or can be purchased for 20 Platinum. Draga - Uses a deadly harpoon gun to snare and damage his enemies. Darek Draga - Deploys disruptive ink clouds. Shock Draga - Utilizes a taser cord. Sikula - Deploys aquatic mines. Blunt: Portable protection against weapons fire. Rampart: A turret armed with twin, double-barrel cannons. Kulstar - Rain hell on the enemy with this handheld cluster-rocket launcher. Harpak - Spike enemies to the wall or reel them in with this automatic harpoon gun. Grattler - Shatter your targets with explosive shells from this devastating Archwing cannon. Ack & Brunt - Tyl Regor’s custom axe and shield are how he likes to eliminate ‘frustrations’. Twin Grakata - When one Grakata isn't enough, bring another for extra firepower. Adhesive Blast: Launched grenades now stick to the first surface it makes contact with. Covert Lethality: Melee attacks from stealth are always lethal (Daggers only). Seismic Wave: Increases the range of ground slam damage by 50/100/150/200%. Concealed Explosives: Thrown blades have a 50/60/70% chance to explode on impact. Combustion Beam: Enemies killed by beam weapons explode for 50/100/150/200/250/300 damage shortly after death. Depleted Reload: Increases reload speed, decreases magazine capacity. Mobilize: Increases parkour Velocity, Aim Glide and Wall Latch time. Firewalker: Increases parkour Velocity, Aim Glide and Wall Latch time. Landing on enemies procs Heat damage. Lightning Dash: Increases parkour Velocity, Aim Glide and Wall Latch time. Landing on enemies procs Electric damage. Ice Spring: Increases parkour Velocity, Aim Glide and Wall Latch time. Landing on enemies procs Cold damage. Toxic Flight: Increases parkour Velocity, Aim Glide and Wall Latch time. 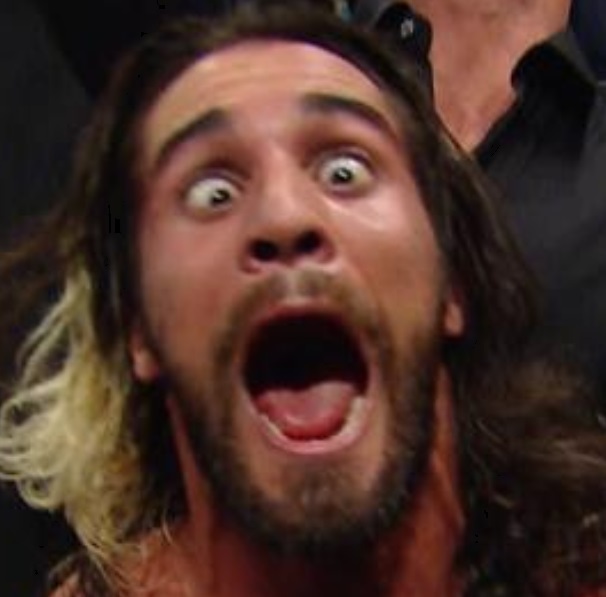 Landing on enemies procs Toxin damage. Battering Maneuver: Increases parkour Velocity, Aim Glide and Wall Latch time. Landing on enemies procs Impact damage. Rending Turn: Increases parkour Velocity, Aim Glide and Wall Latch time. Landing on enemies procs Slash damage. Piercing Step: Increases parkour Velocity, Aim Glide and Wall Latch time. Landing on enemies procs Puncture damage. Patagium: Adds +15% Aim Glide / Wall Latch duration. Final Harbinger (Sword and Shield): STANCE - Powerful slashes and shield attacks. The following list represents changes that have been made to some of Warframe’s game modes. Unless otherwise specified these changes apply to the Mission type across all tilesets. Capture levels now have a single target following a longer escape route. Capture targets now have increased health and special abilities. New capture targets have been added to this game mode. Waves will now start with weaker enemies, progressing to support units and ending with heavy and Eximus units to make the end of the wave more intense. The number of enemies attacking the player has been increased for early-waves and decreased for later-waves; this should not only improve performance on systems but brings the duration of a 20-wave Defense Mission closer to 25-30 minutes. The progression of enemy types in all defense missions has been tuned. This Sabotage tileset has now been given a two part objective -- removing the toxin catalyst (and adding the antitoxin) then activating the injector. New Transmissions have been added to provide more objective clarity. New terrain features have been added to this tileset. An extended Mission timer and text hints were added to this Tutorial Mission. This Mission will replace the Interception Tutorial Mission. New Transmission audio has been added to this Mission. Kubrow Armor is now available! Players can customize their Kubrow with unique sets of armor available in the Market. Kubrow Armor can be equipped via the Arsenal, under Companion - Appearance. ROSTAM ARMOR - Decorative armor fitted for a Kubrow. VALINN ARMOR - Decorative armor fitted for a Kubrow. Chesa Kubrow: The Chesa Kubrow can now be incubated from Kubrow Eggs. Trained to bring its master items scattered across the battlefield the Chesa Kubrow is especially useful for Tenno that need a helping paw in carrying their valuable resources. Incubator Upgrade Module is now available! Players can now upgrade their genetic foundry after obtaining the Incubator Upgrade Module available in the Dojo Tenno Lab. Stasis Recovery reduced to 30 mins. Stasis Recovery can be rushed with Credits. Kubrows are automatically placed into Stasis if they become mortally ill. Egg incubation reduced by a day. Stabilizers last twice as long. Player Icon Bundles have been removed from the Market. Character Icons that were previously in bundles are now purchasable from the Market individually. Players that have already purchased this bundles will not have their Icons removed. Icons in the Mag Prime and Frost Prime Bundles have been removed from the Market entirely, and will remain in the Vault for possible future release. Trade Improvements: Players will now see a notification when a change has been made in the Trade window, prompting both parties to accept any changes that have been made to an offer. A Trade will not occur until players have accepted the changes made. Players can now toggle holstered weapon visibility! All weapons now have a ‘Visible When Holstered’ option available under Appearance - Physique in the Arsenal. Aiming 'alt fire' weapons is here! Players can now aim down sights with weapons with an alternate fire option. Activating ‘alt fire’ options has a default binding of Mouse Wheel 3. Custom Chat Settings: Players can now enable, disable or alter their custom settings for Global Chat channels in the Options menu. Players can now manage their ‘Ignore List’ under Options - Chat. Arcane Distiller: Players can now remove Arcane Enhancements placed on cosmetics using an Arcane Distiller. The Arcane Distiller is available in the Syndicate Offering panel for 100,000 Standing from any Syndicate. Unique Oddities can now be discovered across the Solar System. Explore thoroughly, scan them, and unlock unique lore and a unique reward. The Clan Dojo Research and Contribution UI has been given a visual upgrade! Players can now check their Standing earned with Syndicates from the Player Profile screen. The Market UI has been upgraded! Previewing weapons, Warframes, and various gear will open a more immersive look at the items! Rare resources are now visually different from their common/uncommon counterparts. A new 'Glare' visual effect has been added - it can be disabled in the Options! Conclave now features Daily Challenges! Completing a Daily Challenge will earn players additional Standing with Teshin’s Conclave. Enguard - Immune to Knockdown for 8 seconds after being knocked down. Anticipation - Immune to Stagger for 8 seconds after being staggered. Strafing Slide - Rifle: 20% reduction in recoil and spread when firing while sliding. Gun Glide - Pistol: 20% reduction in recoil and spread when firing while sliding. Double-Barrel Drift - Shotgun: 20% reduction in recoil and spread when firing while sliding. Overcharged - Up to 25 respawn energy converted at 200% to Overshields. Spring-Loaded Broadhead - Daikyu: Increased damage by up to 30% if the target is over 20m away. Adrenaline Boost - Increase Energy by 25% but reduces health by 20%. Hastened Steps - Increase Sprint speed by 20% but reduces shield capacity by -50. Heightened Reflexes - Quicken casting speed by 20% but reduces energy efficiency by -20%. Follow Through - Changed from +6 energy on kill to +6 Energy on Respawn. Relentless Assault - Increase melee attack speed by 20%, decrease blocking effectiveness by -50% and can longer be equipped with Martial Magnetism. 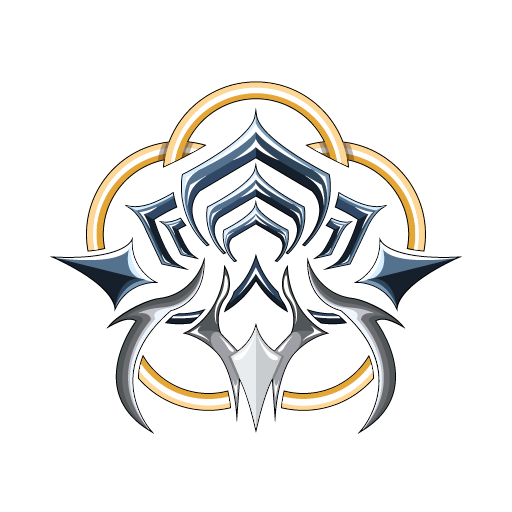 Saryn is now available for use in Conclave. Zephyr is now available for use in Conclave. The Burston, Opticor, Miter, Hind, Grinlok, Marelok, Twin Gremlins, Tiberon, Tetra, Buzlok, Attica, Vasto, Seer and Supra are now available for use in Conclave. This list includes all weapon variants. Tempo Royale stance re-enabled and all other available stances have had their damage/status effects adjusted in PvP. Match time reduced from 15 minutes to 10. Credits are now rewarded at End of Mission based on Conclave rank and Standing gained. All players now have +50% recovery speed from knockdowns in Conclave. All players now generate Energy while alive and the rate increases during Energy Surge. A percentage of Affinity gained is converted into Energy. Affinity boosters do not increase this amount. Players killed holding Energy will now keep up to 25 energy on respawn. Orb respawn time increased significantly. The movement speed for Oro towards players has been increased. Shield resistance to puncture damage has been increased slightly. Clients will now receive a message when being kicked from a match due to being AFK. Sicarus damage increased in PvP. Sybaris damage increased in PvP. Viper series damage increased in PvP. Lato series damage increased in PvP. Atomos damage increased in PvP. Magnus damage increased in PvP. Latron series damage increased in PvP. Dera damage increased in PvP. Bo series damage increased in PvP. Vectis series headshot multiplier increased to 3x and their damage reduced in PvP. Ember's Fireball damage and speed has been reduced in PvP. Frost's Freeze damage and slow duration has been reduced in PvP. Frost's Avalanche damage has been reduced in PvP. Nyx's Psychic Bolts speed has been increased and lifetime decreased in PvP. Targets under Nyx’s mind control can no longer damage her in PvP. Nyx’s mind control duration and range reduced in PvP. Nyx's Absorb damage has been increased in PvP. Mag's Pull damage has been reduced in PvP. Mag's Bullet Attractor radius and lifespan has been decreased in PvP. Mag's Crush damage has been increased in PvP. 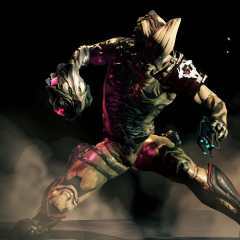 Valkyr's Warcry slow on enemies has been reduced in PvP. Rhino's Charge damage and range has been reduced in PvP. Knock down added to Rhino’s Charge in PvP. Rhino's Roar duration has been increased and range decreased in PvP. Oberon Smite damage and range has been decreased in PvP. Oberon's Hallowed Ground damage reduced in PvP. Chroma’s Vex Armor duration increased in PvP. Increased damage across all shotguns. Damage after projectile falloff has been increased for all shotguns. Some shotguns have received improvements to their projectile speed. Death at close to mid range will now toss enemies into a forceful ragdoll. Freeze now does 100% cold proc in an AoE around target hit. Freeze now creates a patch of cold that slows any enemies that enter the area when used on terrain. 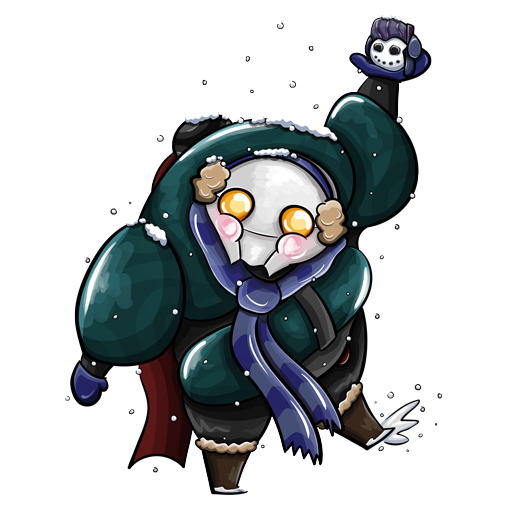 Frost now has a passive ability: enemies who melee attack Frost have a chance to be frozen on impact. Ice Wave now flairs out as a cone as opposed to a straight line. Avalanche will now freeze for X seconds if they survive the initial damage. Survivors have their armour debuffed while frozen. Targets that die while frozen will explode and deal radial damage + cold proc. 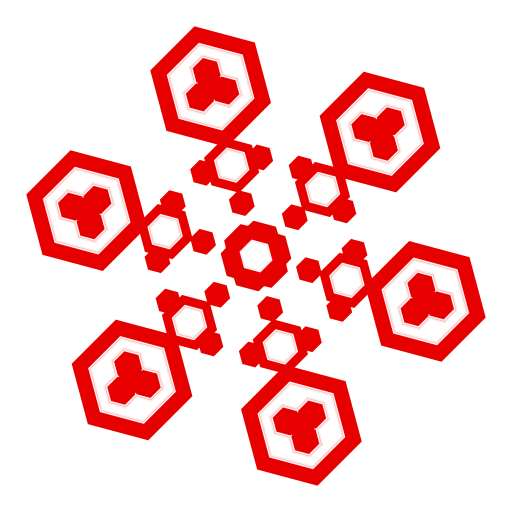 Snow Globe will Freeze and push out all enemies that are within radius upon cast. Snow Globe no longer has a Duration Timer. Players can now have a maximum of 4 Snow Globes. Recasting Snow Globe at 4 will destroy the oldest globe. Frozen enemies will no longer be frozen in place; instead enemies will maintain their velocity and be susceptible to gravity/pushback. Enemies that are frozen solid can be shattered by colliding with something if they are moving fast enough. Frost's passive in Conclave applies Chill instead of Freeze. Rhino Prime base armor increased from 190 to 275. Frost Prime base shield increased from 150 to 175. Nyx Prime base shield increased from 100 to 125. Nyx Prime base armor increased from 15 to 50. Ember Prime base shield increased from 100 to 125. Mag Prime base hp increased from 75 to 100. We’ve begun relighting older tilesets to improve the atmosphere across all our Missions. Many changes have been made to the Grineer Galleon tileset to start, but expect tilesets to receive similar treatment in the future as we gradually roll-out these lighting changes. A secret room has been added to the Spy Missions on Earth. 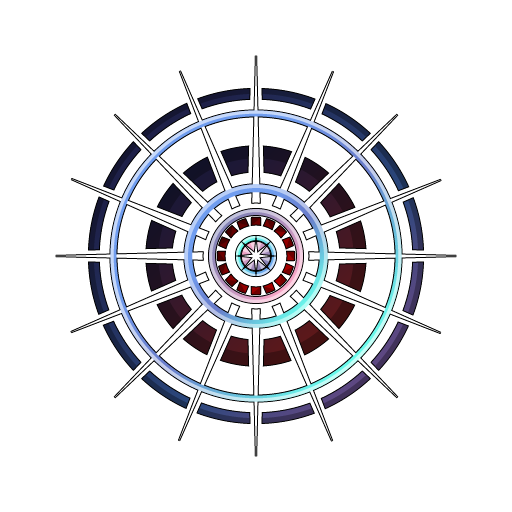 Adjusted the size and spacing of the Syndicate ally command wheel to be less intrusive. Reduced the size of the Corpus Gas City tileset when playing Rescue Missions. Loot Crates for all factions are now split into common and uncommon varieties with their own appropriate drop tables. Updated visuals of Corpus common and uncommon Loot Crates to be more distinct. Increased the total number of Loot Crates and Syndicate Medallions spawned in Missions. Removed player collision with Corpus Crewmen helmets. Improved enemy pathing in Void Defense Missions. Improved audio ambiance FX on doors and hallways across multiple tilesets. Carrier's Vacuum will no longer pick up items while the player is bleeding out. The Power Throw Mod now gives additional speed to the projectile for each enemy hit. Players will now receive a warning if there are too few players participating in a Trial. Improved AI spawning in Trials to better move with players as they complete objectives. Enemies in Trials have received some adjustment to their aggressive behaviors. Improved the alignment of items on Baro Ki’Teer’s Ducat kiosk. The Lotus (in Transmissions) has been given the PBR treatment. Strun, Machete, Cleaver has been given the PBR treatment. Credit drops have been given the PBR treatment. Some elements of the Dojo have been given the PBR treatment. The Braton (and MK-1 Variant) has been given the PBR treatment. The Fang Prime has been given the PBR treatment. The Infested Crewman have been given a visual upgrade with a better quality model! Kubrow pups have been given a new of set idle animations. Kubrow downed/revive indicators are now visible to all players in the Squad. Clones produced by Mirage’s Hall of Mirrors will no longer show cosmetic items for performance reasons. Increased the size of Sentinels in Codex dioramas. Energy effects from elemental Mods will no longer display on Excalibur’s Exalted Blade. Changed the Animal Instinct Mod to properly say ‘Companion’ instead of just ‘Sentinel’. Players can now see a more detailed Noggle preview available in the Market. The Djinn’s Fatal Attraction ability now makes all enemies approach the Djinn. Players below Mastery Rank 3 will now receive a message when attempting to access Syndicate menus in Relays. Enemies can now drop Credits in piles. Piles of credits come in the following ranges Small: 10-50, Medium: 75-150, Large: 150-300. Wyrm Prime now has 150 base Armor. Reduced the attack range of Corrupted Crewman. Fixed an issue where leaving a Clan while in the Solar Map would leave the Dojo node still available for selection, causing a crash if clicked. Fixed the Host’s Squad UI losing functionality if a Mission was cancelled during final countdown to Mission Start. Fixed red Revive markers becoming stuck on the minimap after you’ve revived a downed Kubrow. Fixed Kubrow not appearing on the minimap. Fixed an issue preventing players from seeing Immortal Skins or Helmets when previewing Warframes or Weapons. Fixed Lisets flying through each other in the Relay docking station. Fixed enemies having difficulty jumping down ledges in Void Defense Missions. Fixed the Equilibrium Mod not showing the correct popup notification icons. Fixed an issue causing Clan trade taxes for one player to match the other player’s Clan tax after a trade, despite trade tax in a Dojo being set to zero. Fixed an issue caused by spamming the tutorial button in the Foundry, Arsenal or Mod Upgrade menu causing the game to freeze. Fixed several visual issues on Grineer tilesets. Fixed the Clan List not updating when a pending member accepts a Clan invite. Fixed a stretched button overlapping over text in the Mod Upgrade menu. Fixed an error caused by using the right thumbstick on a controller or gamepad when customizing the Liset. Fixed an issue preventing players from being removed from Alliance chat when they’re removed from a Clan. Fixed an issue where editing the pause menu can be accessed when editing the Liset’s interior colors, creating additional UI on top of the color picker. Fixed the Scindo Prime not properly having bullet parry FX. Fixed players being able to bypass the Plate Puzzle in the Law of Retribution Trial by using Decoy / Switch Teleport or Wormhole. Fixed players being unable to navigate the ‘Featured’ tab in the Market with a controller. Players can now use LB/RB to navigate these tabs. Fixed the Login Bonus’ description being cut off in Italian. Fixed the Recent Players list showing all players as having a default icon. 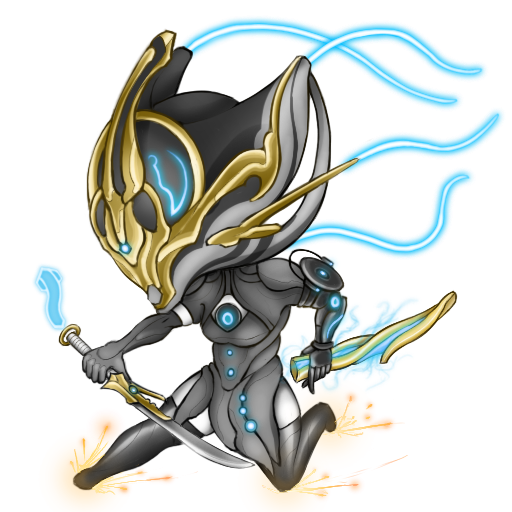 Fixed Hydroid’s Undertow not being affected by duration or range Mods. Fixed opening and closing the World State Panel leaving a progress bar stuck at the top of the Navigation UI. Fixed Trial descriptions in the lobby going out of bounds off the screen. Fixed the text that appears in the Mod Tutorial showing behind the Chat box, cutting off some of the text in various languages. Fixed some Ukrainian characters appearing as * instead of the proper letters. Fixed some issues causing Clients to freeze upon loading into a Trial. Fixed pressure-plate buttons in Trials not changing to blue when stepped on / activated. Fixed an issue causing players to be trapped inside a room if a host migration occurs when Clients are unable to properly see broken windows on Corpus ship tilesets. Fixed the Raksa Kubrow’s Howl sometimes not playing. Fixed the Mission countdown timer freezing for Clients if the Host cancels a Mission during the countdown. Fixed players being unable to join their Friend’s squad through the Friends list in the Communication menu. Fixed an issue preventing Vay Hek or the G3 from spawning in the Phase 2 of the Law of Retribution Trial. Fixed an issue preventing apostrophes from appearing in game text. Fixed an issue causing the ‘time remaining’ text on timed deals to overlap in certain languages. Fixed some credit prices that were not quite properly aligned in Baro Ti’Keer’s wares. Fixed an issue preventing Founder statuses other than Grandmaster from displaying on profiles. Fixed the Master Volume slider in the options menu not responding to mouse clicks. Fixed an issue where the base damage from jump attacks was not properly reflected in the Arsenal. Fixed Sentinel dioramas not properly displaying in the Codex. Fixed the Charge Rate stat in the Arsenal showing red for a faster charge and green for a slower charge, instead of the other way around. Fixed the Charge Rate stat not reflecting a change when equipping Mods that change Fire Rate. Fixed the Lotus occasionally broadcasting transmissions about the Infested on non-Infested Survival Missions. Fixed Kubrow visually clipping through the top of their stasis dome when being revived from stasis or rushed from incubation. Fixed Mirage’s clones from Hall of Mirrors doing full damage to the Juggernaut. Fixed the Chat tab overlapping the ‘Purchase’ icon for the Anku when displayed in Spanish or Russian. Fixed Valkyr’s Warcry stacking multiple times on Squad members when Eternal War Augment is equipped. Fixed an issue causing explosions to do double damage to players and enemies. Fixed an issue causing players to be stuck in iron sights with the Tonkor when firing immediately after a quick melee. Fixed some incorrect spacing on Corpus hacking terminals. Fixed an issue that would occur when selling items from inventory. 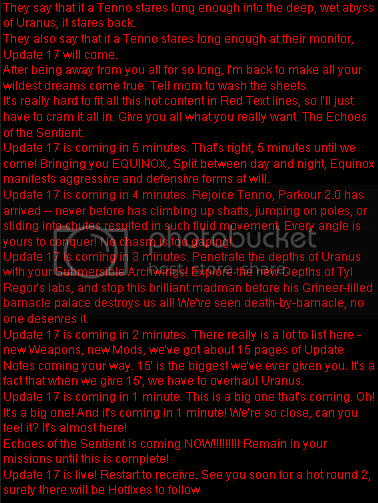 Fixed the Mod section of the Codex featuring a useless button prompt. Fixed an issue preventing players from rotating their character when using a controller or gamepad. Fixed an issue preventing facial animations in Transmissions from properly playing. Fixed the positioning of the ‘Give Weapon’ context action when interacting with Rescue hostages. Fixed players being able to apply DNA Stabilizers to Kubrow at 100% Integrity. Fixed an issue preventing arrows from showing up in a Warframe’s hand when previewing a bow weapon. Fixed an error that would occur when entering a non-number value into Dojo Research Contribution. Fixed some item text descriptions within the Dojo extending outside of bounds. Fixed an issue preventing dual wield weapons from being able to hit with each hand. Fixed an incorrect increase to proc chance for automatic weapons with multishot Mods installed. Fixed an issue preventing some textures from being properly illuminated by light sources. Fixed an issue that would occur when attempting to keybind R3 on a controller or gamepad. Fixed an issue caused by building the Odonata while the Archwing Quest is still inactive, causing an error when activating the quest in the World State Window. Fixed some transmissions not playing in the Tutorial Rescue Missions. Fixed quotation marks appearing as asterisks in Sanctuary lore entries localized for other regions. Fixed a crash that would occur when a player leaves a squad before a session has finished being created. Fixed Warframe heads being cut off on camera when players preview Immortal Skins. Fixed some destructible environments sometimes causing visual issues for their surroundings (such as breakable locker doors). Fixed stats in the View Mission Progress screen displaying outside of the screen in Archwing Missions. Fixed occasional issues in the visual FX of Mirage’s Eclipse. Fixed an issue preventing players from exiting the Market when pushing ‘escape’ on a controller / gamepad. Fixed an issue preventing blueprints from displaying in the Foundry. Fixed Oberon being able to cast other Abilities while moving if he casts Smite, followed immediately by a second Ability. Fixed the camera sitting too close to two handed melee weapons in the Codex, preventing you from seeing the majority of the weapon. Fixed a barrel on the Infested Corpus Ship tileset that Clients cannot pass through when destroyed, preventing them from obtaining any loot near or behind the barrel. Fixed Trinity’s Well of Life Augment not properly using strength Mods to increase the chance to drop Health Orbs. Fixed Limbo’s Cataclysm persisting for Clients after the effect has expired for the Host. Fixed weapon attachments in the Arsenal not displaying ‘Physique’ under Appearance when viewing Bows. 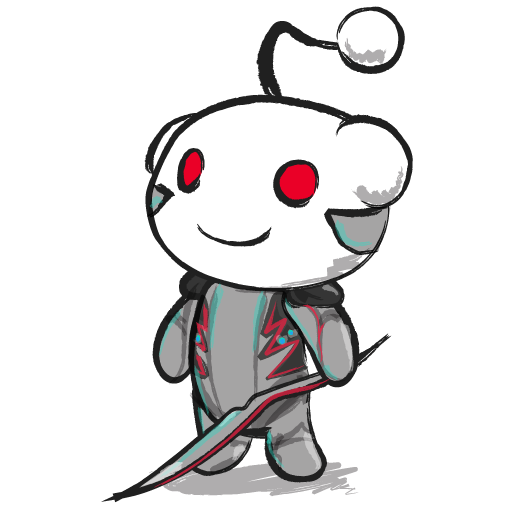 Fixed an issue where bow skins will apply their effect to arrows when a unique arrow skin is already equipped. Fixed some Radiation damage weapons not properly applying damage to Nova’s Antimatter Drop absorption. Fixed Ash’s Bladestorm locking players into a multi-strike animation against Synthesis targets. Fixed the Venka Claws not being visible to Clients when they are the only weapon equipped. 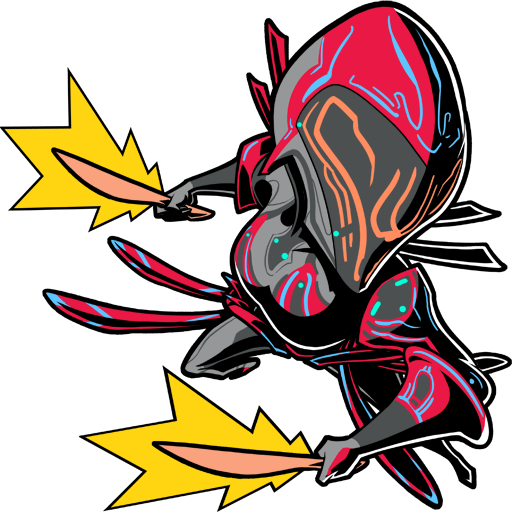 Fixed Excalibur’s Radial Blind animation repeating if its activation is interrupted by a knockdown, or the use of another Ability Power. Fixed the End of Mission screen not displaying correct stats when there are multiple levels of Affinity earned. Fixed an issue causing sniper scopes to remain on the screen after the player dies. Fixed players navigating on the Relay causing other players to still see where your Warframe was previously standing. Fixed an issue causing arrow skins to linger after being previewed. Fixed an issue causing the Extract or Battle screen not to appear on Defense Missions after a Host Migration occurs when all enemies have been killed. Fixed players not being able to see bleedout times on Squad members when the Show Teammate Names option is turned on. Fixed the Biocatalyst in Grineer Sabotage Missions on Earth being improperly labeled as ‘Grineer Toxin’. Fixed Host Migration on Mobile Defense Missions causing the Objective and Datamass to disappear. Fixed downed Capture targets getting back up after a Host Migration. Fixed Saryn’s Miasma making corpses invisible on use. Fixed Excalibur’s Exalted Blade’s energy waves not being stopped by Corpus Nullifier shields. Fixed Excalibur’s Exalted Blade improperly taking on stances from other equipped melee weapons and vice versa. Fixed an error that would occur when choosing a color customization for an item that was previously set to Default. Fixed Excalibur Prime’s sword being at an incorrect position in his Codex diorama. Fixed Overshields not showing as the proper color in the Squad UI. Fixed Simulacrum scans not appearing as +0 when the cap has been reached. Fixed diorama audio playing twice when opened. Fixed players getting an option to rejoin Missions they’ve disconnected from after the Mission itself has been completed or no longer exists. Fixed players not properly being able to use purchased Revives. Fixed kills earned by Mesa’s Peacemaker not properly counting as kills for the player. Fixed Clients seeing Excavator Power percentages with decimal places. Fixed Radiation damage effects on swords and daggers lingering after the proc has expired. Fixed the Jackal and Zanuka’s missile attacks being wildly inaccurate or firing directly into the floor. Fixed the Clan Log no longer showing entries after constructing the Orokin lab. Fixed some potential visibility issues that would occur when entering a Conclave match on the Grineer Settlement tileset. Fixed an issue in Excavation Missions where the first Excavator being destroyed before the next one spawns prevents future Excavators from spawning. Fixed headshot multipliers not correctly reading as 2.0 in the Conclave Arsenal. Fixed players experiencing a loss of functionality when opening the Pause Menu immediately after opening the Conclave Menu in the Liset. Fixed several collision issues in the Underwater Sealab Conclave tileset. Fixed a visible hole in the Underwater Sealab Conclave tileset. Fixed an issue where the Steel Charge Aura had a duplicate stat in the description. If you've updated to Windows 10, we advise you to update your drivers! Finally! 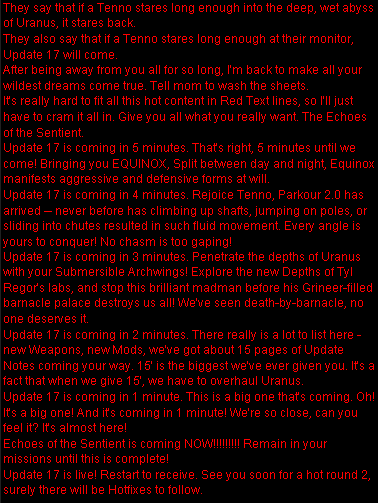 UPDATE 17 IS HERE!!!! Thanks a lot DE! Edit: now that I can edit this, I want to say (with my poor English xD) that you are the best DE! Working past midnight just to bring us the update, that's awesome. U17 be the word, and the word be HYPE! 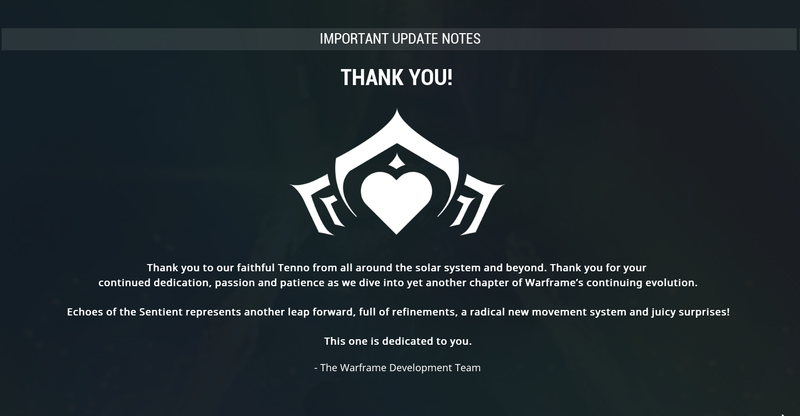 Wow, thanks for all hard work, DE! Gonna test Parkour 2.0 right now and give feedback as fast as I can to make you fix that & make it polished as Ruk! YES, it has happened, IT HAS HAPPENED!!!!! 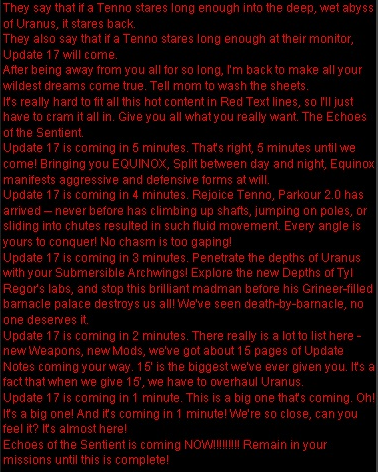 We're all dancing for Update 17.